News about the liberation of hostages in the locality of Moungo-Ndor in the Nguti Subdivision of the Kupe Muanenguba Division of the South West Region on 2 April, 2018 came as a sigh of relief to many. In the presence of cabinet ministers, officials of the Italian and Swiss Consular services where citizens were involved in the incident were present at the ceremony organised in the Ministry of External Relations to present the 12 hostages; seven from Switzerland and five from Italy. In the presence of news reporters, the Minister of Communication, Issa Tchiroma Bakary announced that the tourists were liberated from the hands of secessionists by the anti-terrorist unit of the Rapid Intervention Battalion, BIR after a fire exchange with the terrorists which led to the arrest of some assailants, while three members of the defence forces, including an officer, sustaining minor injuries. Details of the official statement even pointed to steps by the terrorists to kidnap the tourist who were on their way to the “Twin Lake” to an unknown destination beyond the frontiers of the country. The five ministers who attended the ceremony to hand over the tourists to their respective embassies advised them to always ask for protection from security services before moving to localities considered as risky in the country. However, in spite of the details presented at the press briefing on 3 April, 2018 on the circumstances of the liberation, there has been much controversy of late, with some foreign media institutions curiously quoting an interview with a Swiss hostage saying they were never the object of kidnapping in the South West Regions. Such a situation has led to several questions. How government could be telling lies of such magnitude when there are measures being taken by the State to ensure that the entire national territory is safe for those who want to visit any part of the country? Could anyone wound a soldier and use such wounds to fake information about hostage taking? Elements of the BIR have demonstrated their worth in the fight against the Boko Haram in the Far North Region as well as in the high seas against pirates and it appears strange that someone should accuse them of faking a hostage situation to gain popularity. Answers to these and other pertinent questions are obviously blowing in the wind. It is common knowledge that the situation in the North West and South West regions is a major concern to the government. 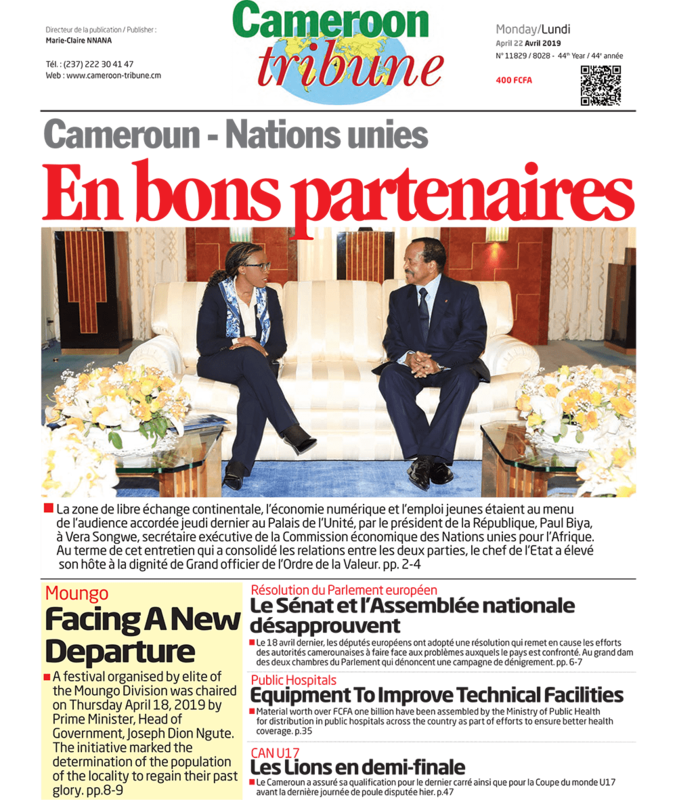 Taking steps to ensure that normalcy returns and putting in place confidence-building measures to get tourists and Cameroonians feel at home in all parts of the country are constant concerns which the Head of State has continued to address. Consequently, it would appear strange if government should in anyway be seen as instead working contrary to the instructions of the Head of State. Faking any information about the arrest of foreigners in any part of the country cannot be considered as good news for any citizen of this country. As such, those who fuel the hullabaloo over the taking of hostage in the country, and particularly in the North West and South West Regions, at a time when all efforts are geared toward restoring peace and stability can be sure that they are promoting a counter-productive venture which only goes to tarnish the image of Cameroon. 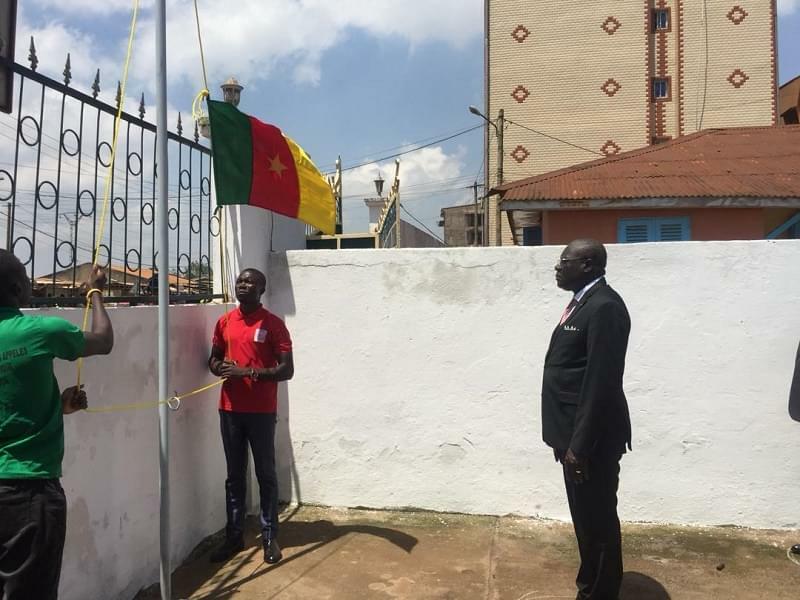 The Head of State has repeatedly urged Cameroonians to focus on issues that can help restore the rule of law while pursuing the development endeavours aimed at making Cameroon an emerging country by 2035. Moving out of this spectrum to introduce uncalled for controversies cannot be considered as a way of fostering the development agenda of Cameroon because such digression will not only derail the people, but will hold back the country from going after the noble goals put in place by the Head of State.